Prof. P J Narayanan, Director, IIIT-H.
IIIT-H is organized as research centres and labs, instead of the conventional departments, to facilitate inter-disciplinary research and a seamless flow of knowledge within the Institute. Faculty assigned to the centers and labs conduct research, as well as academic programs, which are owned by the Institute, and not by individual research centers. The Institute combines pioneering research with top class education. An innovative curriculum allows the student flexibility in selecting courses and projects. Students, even at the undergraduate level, get to participate in ongoing research and technology development - an opportunity unprecedented in India. As a result, a vibrant undergraduate programme co-exists with a strong postgraduate programme. Recognizing that the goal of education is to develop a broad and humanistic outlook among students (and beyond), the Institute runs a unique human values programme at the undergraduate level. Regular faculty conducts the programme. Also, elements of the programme are made available to IIIT-H’s postgraduate students, faculty and students at other universities and colleges, and any interested individual or organization. 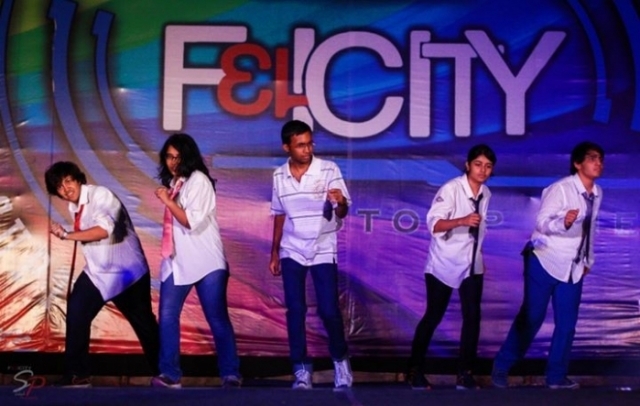 The B.Tech. 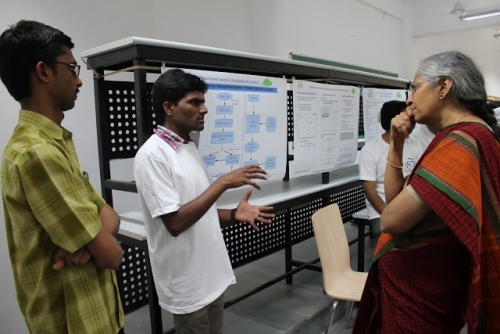 programme aims to provide core concepts and skills in the broad areas of engineering, sciences, mathematics and humanities, supported by practicums. The practicums are intended to give students a first-hand understanding of leveraging their initial breadth (and skills) in programme and applying it to develop solutions for real-life problems. Students also learn next level concepts and do course projects by enrolling in advanced courses for two years, and to pursue a chosen specialization, or to broaden knowledge and in their programme of study. M.S. 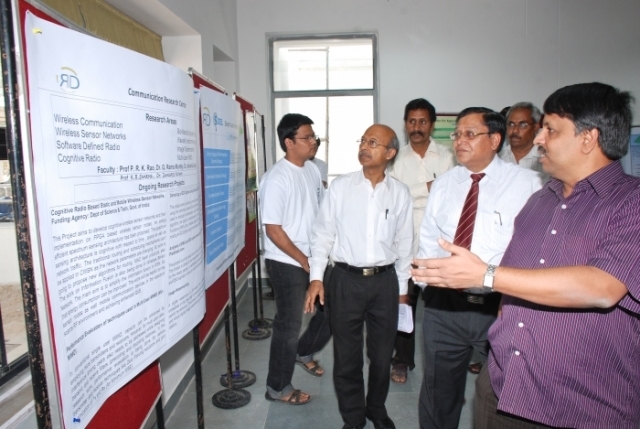 by Research is a research-oriented Masters' programme, normally lasting two years and culminates in a thesis defense. Students can take advanced courses in the chosen area of specialization and devote a year or more towards research. 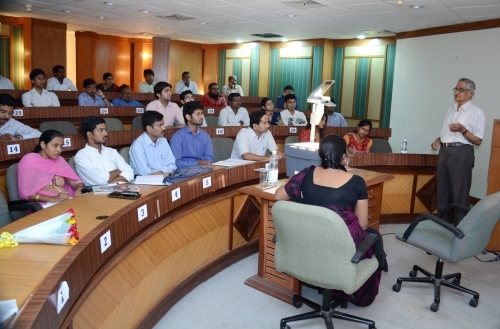 The aim of this programme is to provide an understanding of natural language to the students with humanities and social science background from a computational perspective. It prepares them to understand computational models and how natural language data can be prepared or analyzed while building systems. The programme is specially designed for linguists, language scholars, Sanskrit scholars and the likes. Students with a science or mathematics background and with a strong interest in the analytical or computational study of language too can pursue this program. The aim of this programme is to help professionals interested in acquiring new knowledge in chosen areas without regard to any degree. Interested people can enroll in the P.G. programmes on a part-time basis. They are recommended to initially join through the institute’sP.G. Student Status Programme (PGSSP). Our 66 acres campus, located on the main Gachibowli road (also called the Old Bombay highway) is well connected by bus and is on the route for the proposed metro rail. We are surrounded by many academic and research institutions like the Hyderabad Central University, Indian School of Business (ISB), TCS-CMC, Indian Immunologicals and Jawaharlal Nehru Institute of Development Banking (JNIDB), and are minutes away from the bustling HiTech City Center and Lingampally, which are major shopping areas. Lingampally is also the nearest railway station. Within-campus facilities include a bank extension counter, ATM machine, stationary shop, and laundry services. The campus has been developed quite a bit since the institute was started in 1998. Presently the academic, administration & research labs are in four large 3-floor buildings and construction will be completed soon of a new 5-storey academic block, which will house more classrooms, labs, student workplaces and a bigger library. 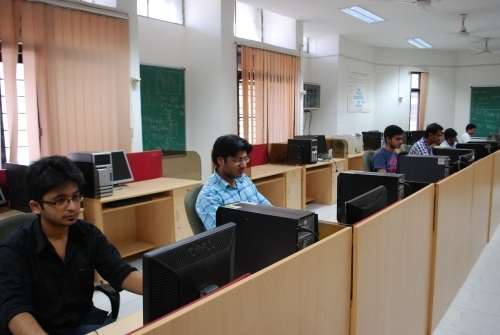 The Institute has well-equipped, air-conditioned computer laboratories allocated batch-wise to the students. They contain the latest hardware and software. The average PC-to-student ratio is 1:2. 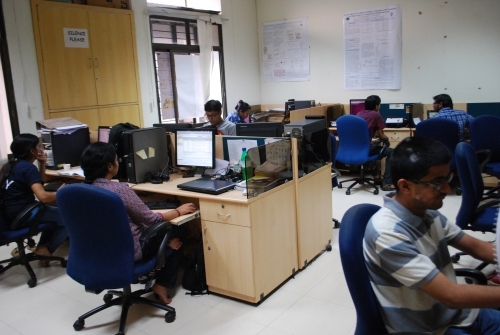 All computers are part of an intranet (1Gbps Backbone), which connects all buildings, including the hostels; and a high-bandwidth (8 Mbps) internet is available round the clock. Researchers have 24 hours access to the computational facilities. The students administer their own computer systems. Research centers provide specialized, high-end equipment, as needed in research and development projects. 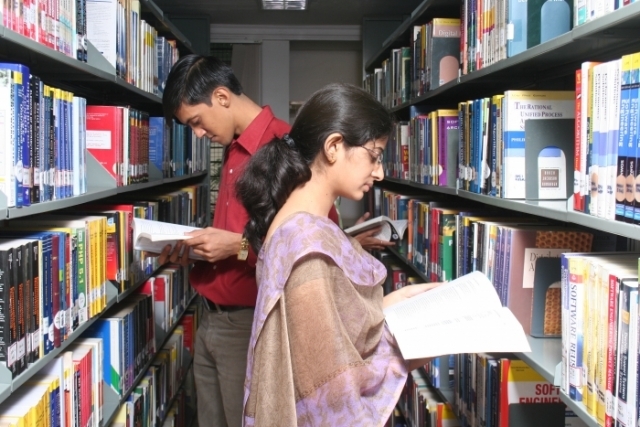 The Library has a large collection of Reference Books, Text Books, Technical reports, Standards, Literature books and CDROMS. We subscribe to over 150 journals/magazines. The Library is being managed with fully integrated multi-user Library Management Software. Using this software, cataloguing and circulation services are being automated along with Online Public Access Catalogue (OPAC) facility. A digital library is also maintained. It is an online archive of useful software, books and tutorials. Students can download any permitted software from this resource. There are many textbooks and reference books available in the digital format as well. Many lectures have also been recorded and are available online for students use. 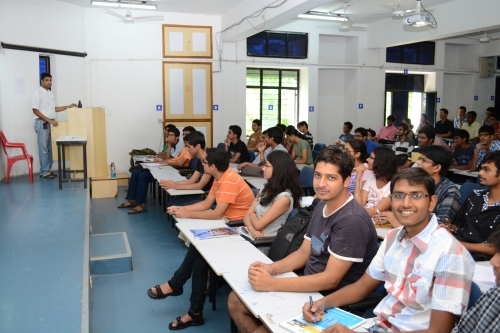 Most courses maintain an intranet site containing lecture slides and other course material. 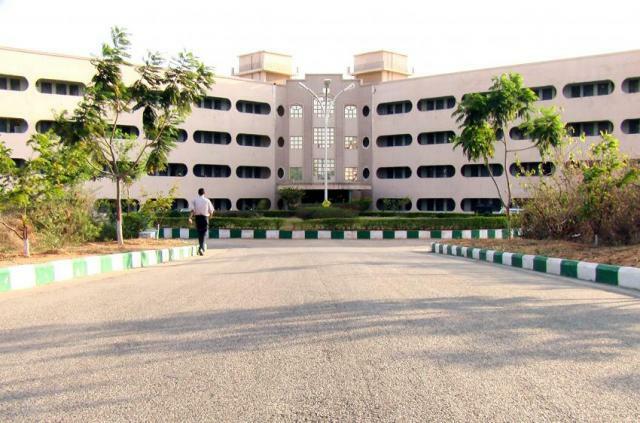 IIIT-H is a residential Institute and it is compulsory for all students to stay on-campus. 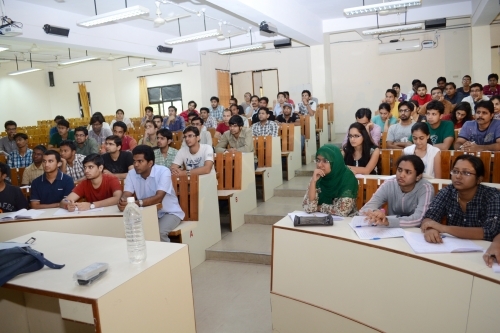 Separate hostels for boys and girls are available on-campus with basic facilities. All the hostel rooms are networked and internet enabled . The institute gives sufficient incentive for everyone to excel in any of the plethora of activities and skills available. 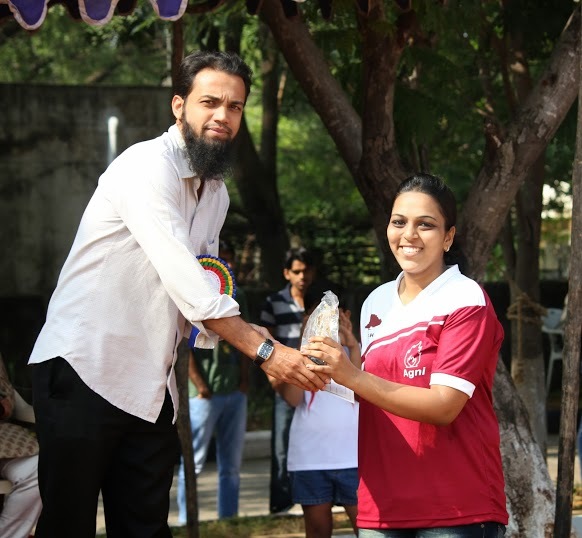 Facilities are provided for cricket, volley ball, soccer, basket ball, table tennis, etc. We also have understanding with nearby stadiums for other sports facilities such as badminton, hockey, swimming, etc. Spacious and modern kitchens with steam cooking cater to healthy and nutritious food. Hygienic conditions are maintained. Campus has 4 vegetarian messes (North Mess, South Mess, Mixed Mess and Yuktahar Mess). The students are free to choose any mess of their choice. There is also a canteen which serves snacks, non-veg food and general fast foods. A couple of cafeteria serve juices, milk products and snacks. 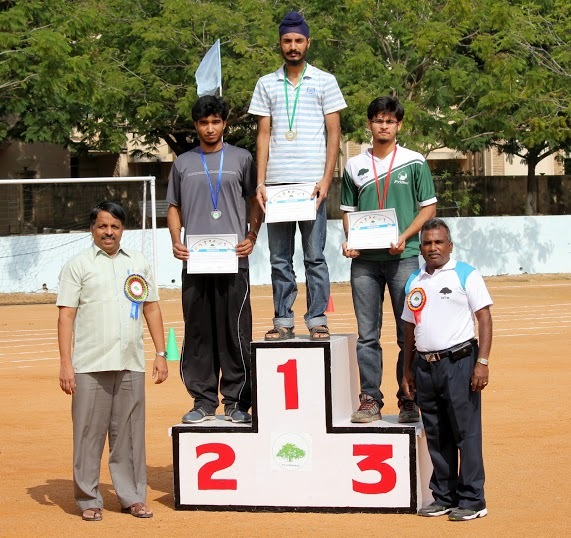 Gymnasium facilities are available in hostel with a physical trainer. Apart from the common gym which is open for all residents, a separate mini gym is also provided for girls in the girls hostel. Eligibility Students should take JEE (Main) - 2014 and must sperately apply for IIIT-H counseling. Admissions are on the basis of the scores in JEE (Main). Exam Syllabus Standard +2 (for example, CBSE) level syllabus. The questions will be probing the research orientation and inquisitiveness of the candidate. There is no fixed pattern of the exam. It may change from year to year. Students qualified for Maths and Informatics Olympiad who were selected for training to represent India in International World Olympiads can directly apply for Interview. Last date for applying is 1st June 2014. Student should be completing his/her 2nd year of B.E./B.Tech in CSE/IT by this July 2014 are eligible to apply for the CSD lateral entry programme. Student should be completing his/her 2nd year of B.E./B.Tech in ECE / ETE / EIE / EEE by this July 2014 are eligible to apply for theECD lateral entry programme. PS: Off Shore Salaries are not included while computing Avg salary.